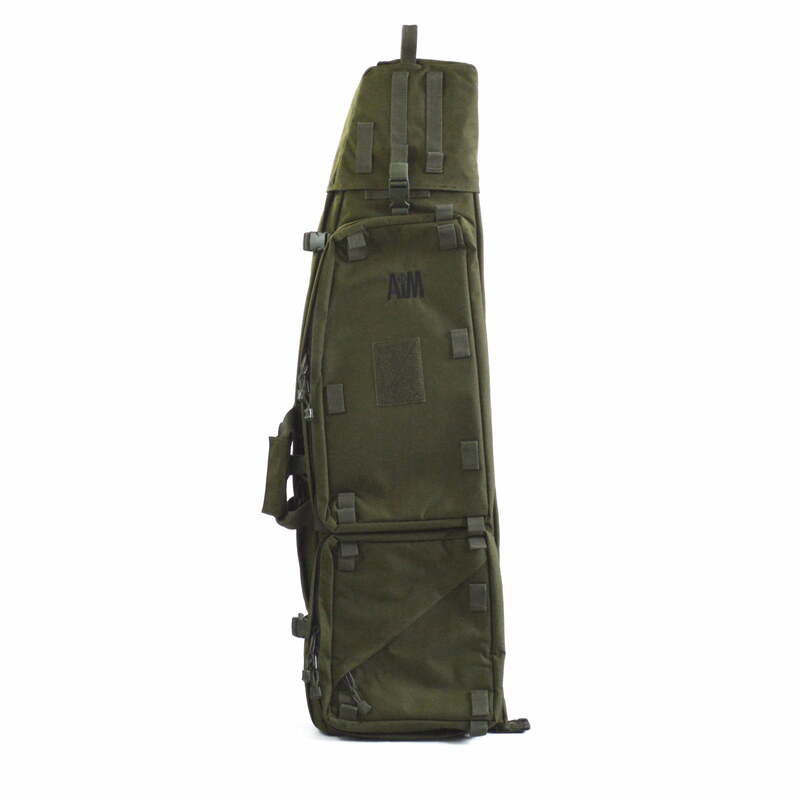 This sturdy AIM 50 tactical drag bag is ideal for the average size of rifle (up to 49″ in length). 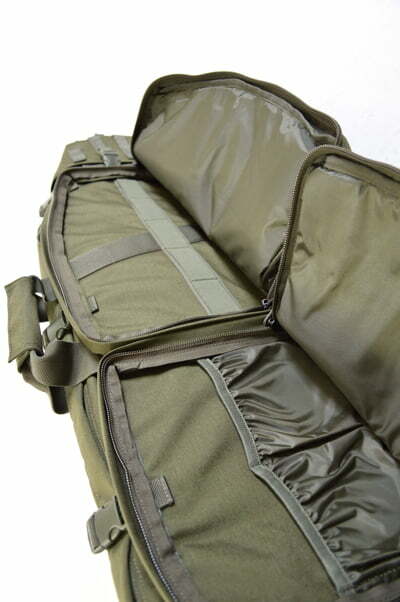 It’s the only gunbag you’ll ever need because the AIM 50 swallows an unbelievable amount of kit! 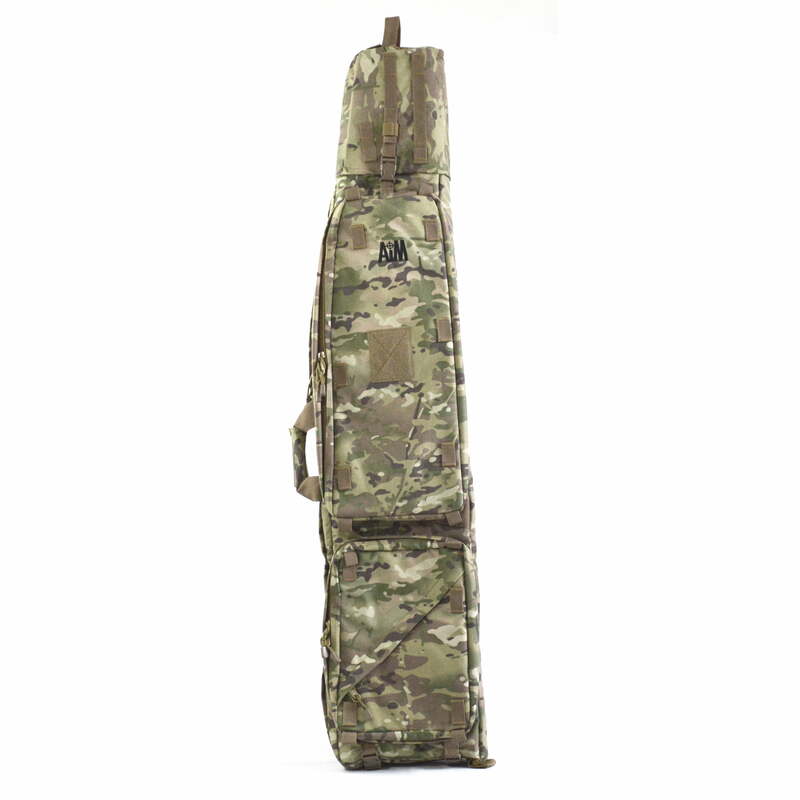 You can backpack the AIM 50 and carry the weight of your gun and all the extras comfortably over long distances from car park to shooting point. 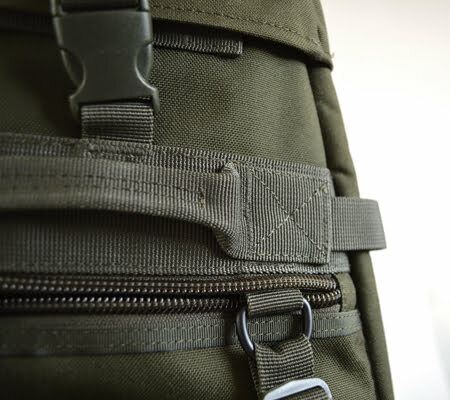 Or you can unclip the padded shoulder straps at the bottom by their heavy-duty metal snaphooks and slide them in at either end of the slimline zipped pouch – then grip your gunbag by the fully wrap-around webbing handle. 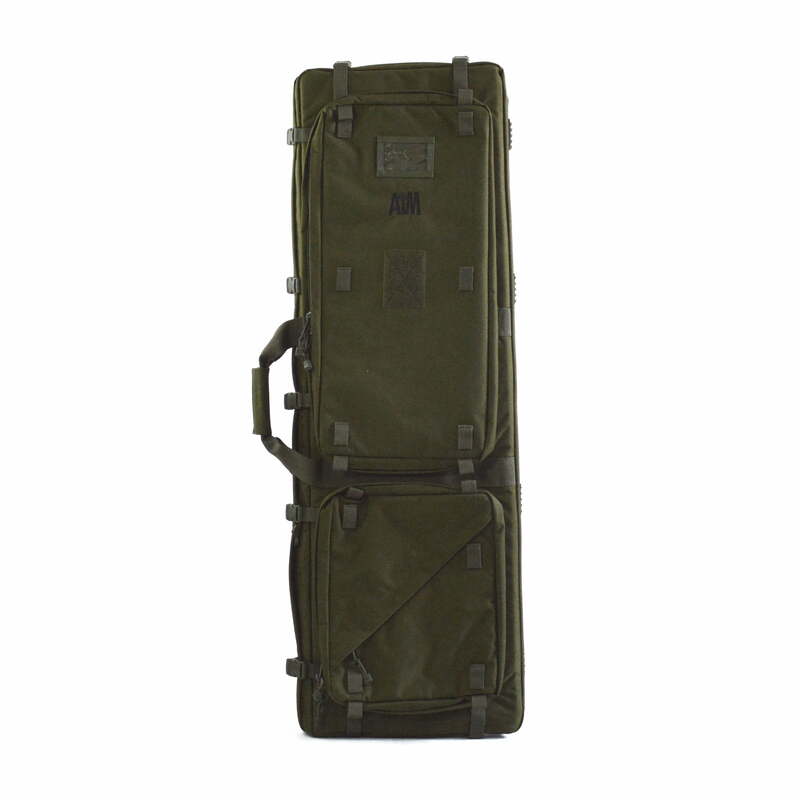 Alternatively you can drag it across the ground by its sturdy webbing drag handle. 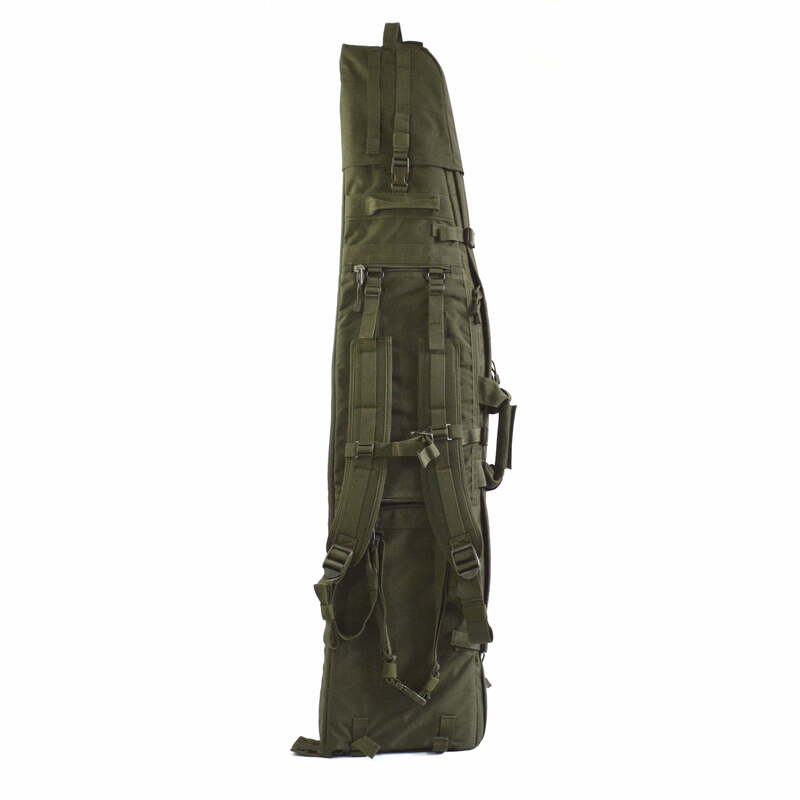 The main gun compartment has a detachable drag hood, adjustable internal weapon securing straps and stock support pocket. 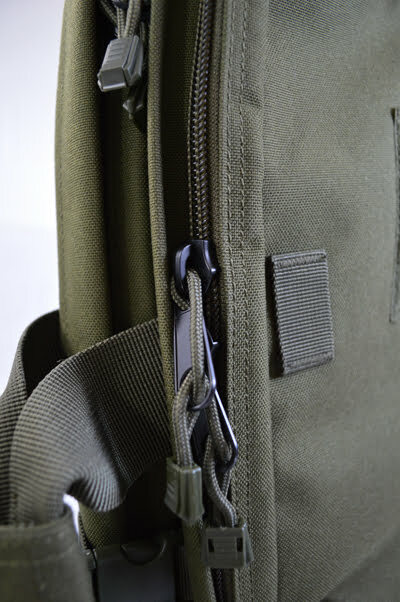 Sturdy zip and protective zip flap. 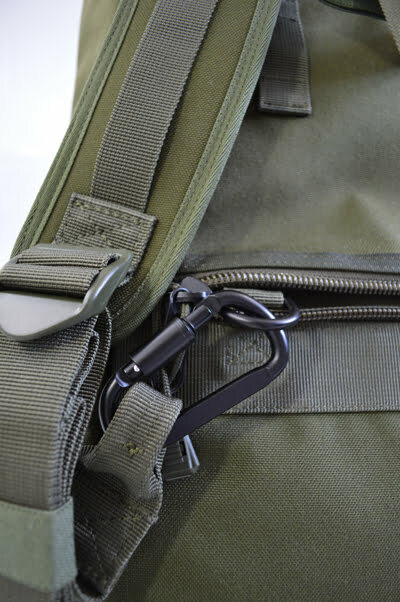 Side release clips fasten across the zip for extra security. 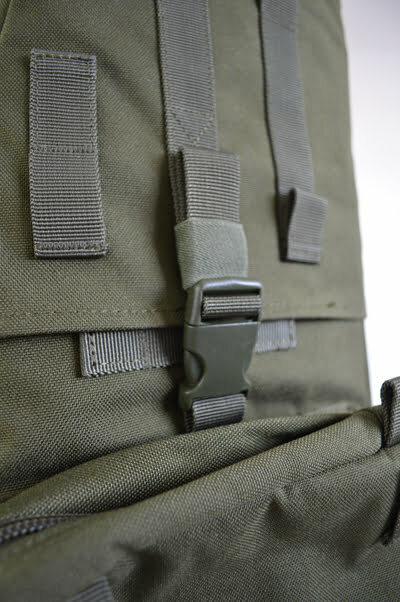 Other features include two enormous external utility pockets. 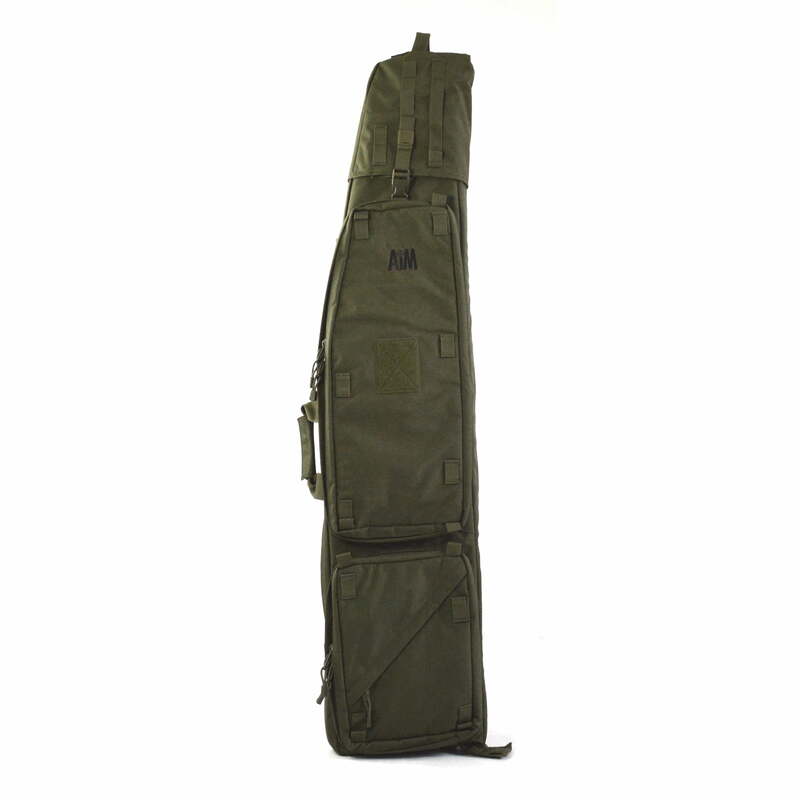 The smaller one (14″ x10″) has an additional diagonally zipped pouch for certificates, score cards etc. 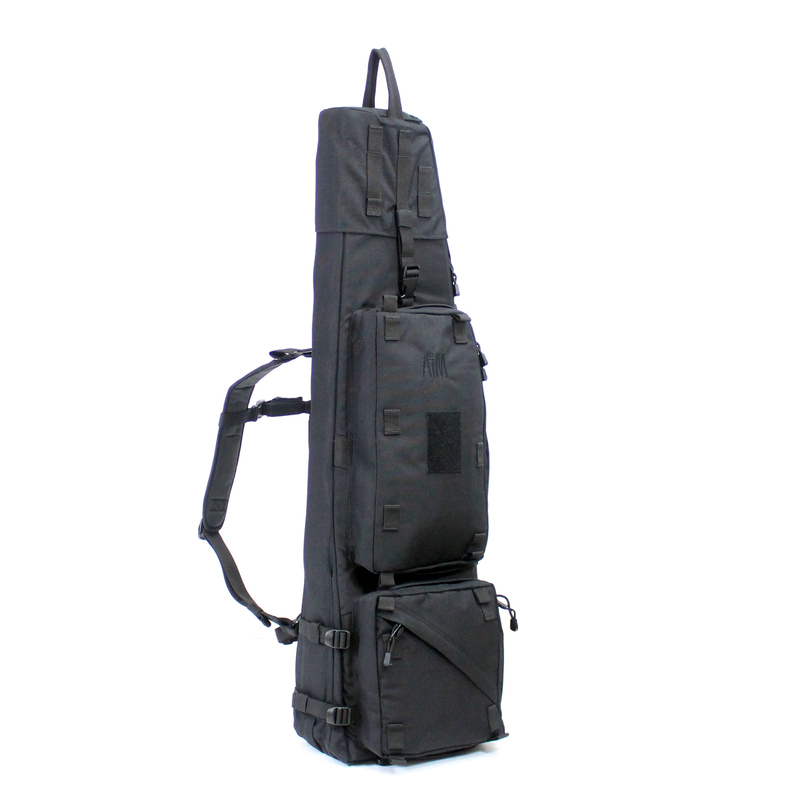 The larger one is 24″ x 10″ and capable of carrying a massive amount of extra kit comfortably. 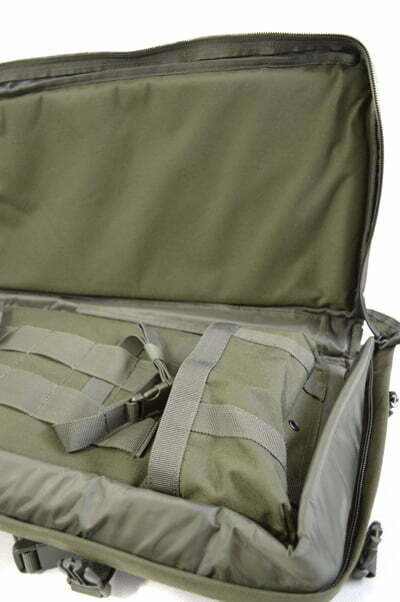 Made of 1000 denier cordura Extra thick closed cell foam padding All handles box stitched for greater strength. 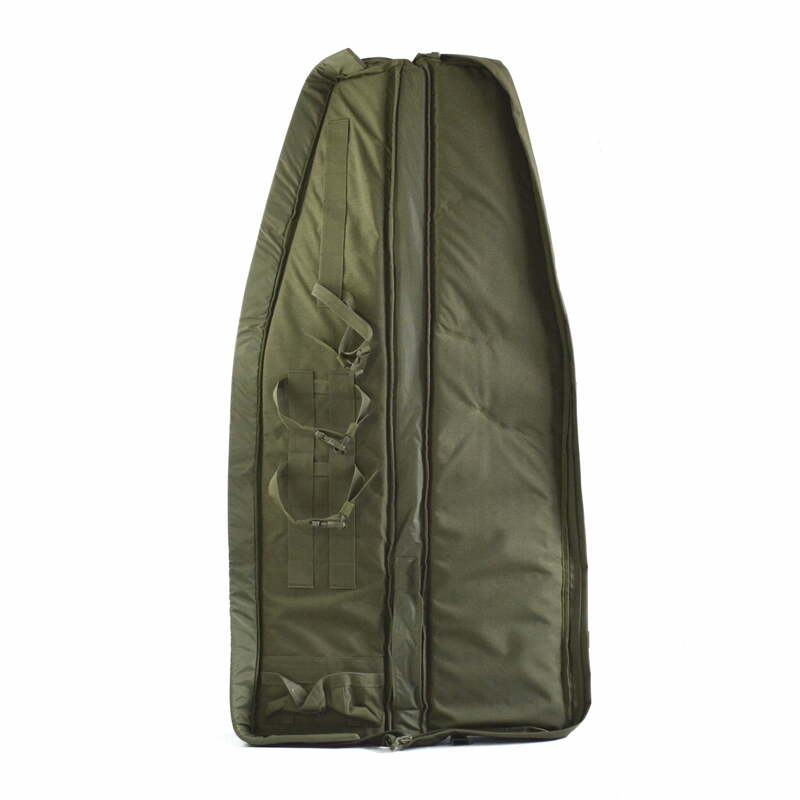 AIM 50 BLACK NOW BACK IN STOCK! 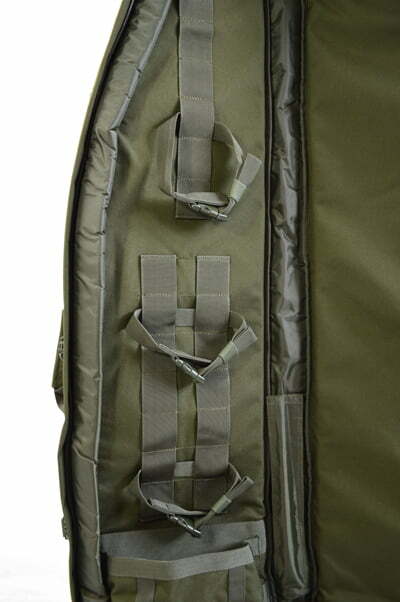 The exterior pockets on our dragbags are massive. 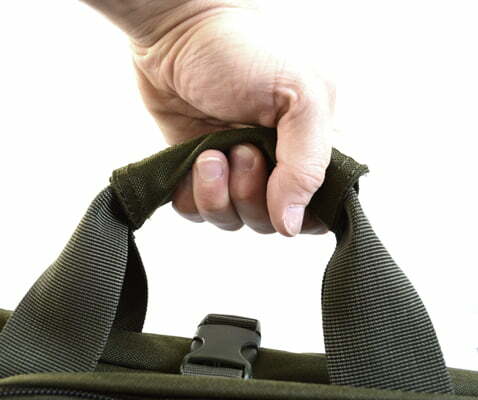 There's no need to carry an extra range bag - just put everything on your back!